Ruby -Fan Character- द्वारा light_james. Cedits go to the owner. I like her डिज़ाइन plus she's kinda cute^^. (I just had to share). Don't worry Fubblegummers, I'm sure someone out there has already mada an offspring for Finn and Peebles. :). 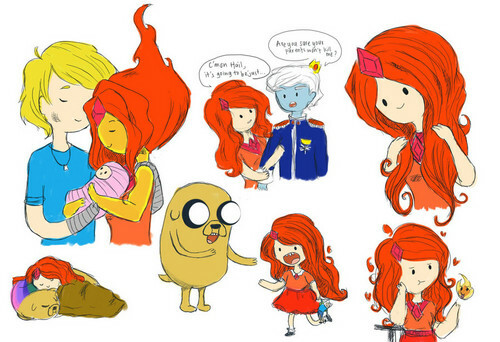 HD Wallpaper and background images in the अड्वेंचर टाइम वित फिन आंड जेक club tagged: adventure time finn flame princess.